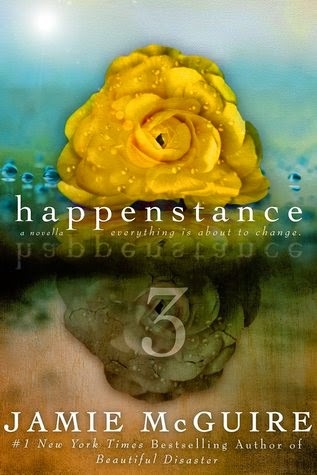 The Happenstance series is one of the most heartfelt, endearing, I-feel-it -in-my-bones, stories I've read. I keep having to remind myself that the same author that gave me a place to belong with Beautiful Disaster is the same amazing creature that has me loving Weston, Erin, and everything about Happenstance 3. I'm so impressed with her versatility because I've only read a few authors that could pull of writing seamlessly in two genres.The journey that Erin went through is validation that good will prevail. You might have to wait a while, but it will get better. There will always be a--holes out there who'll fight tooth and nail to bring you down, and will only succeed if you let them. I'm just thankful that stories like Happenstance and characters like Erin exist for those of us who will occasionally need reminders that we are worthy of happiness, success, and all the good that has come our way. There will be readers who will gush about the love between Weston and Erin. There will admirers of Jamie McGuire who will say that this is the reason that she is a favourite of so many of us all around the world. There will be fans who will go down fighting till the bitter end, defending their point of view that stories like this are the reason they read. And I don't disagree with any of them.